Add some tasty fun to your pool party or beach trip! 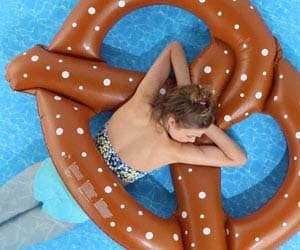 The inflatable pretzel has enough room for you and 2 of your hungry friends to enjoy whilst you float around. Easy to inflate for hours of entertainment!